As many of you know, 2017 is going to be a huge year for us. Ginormous even. 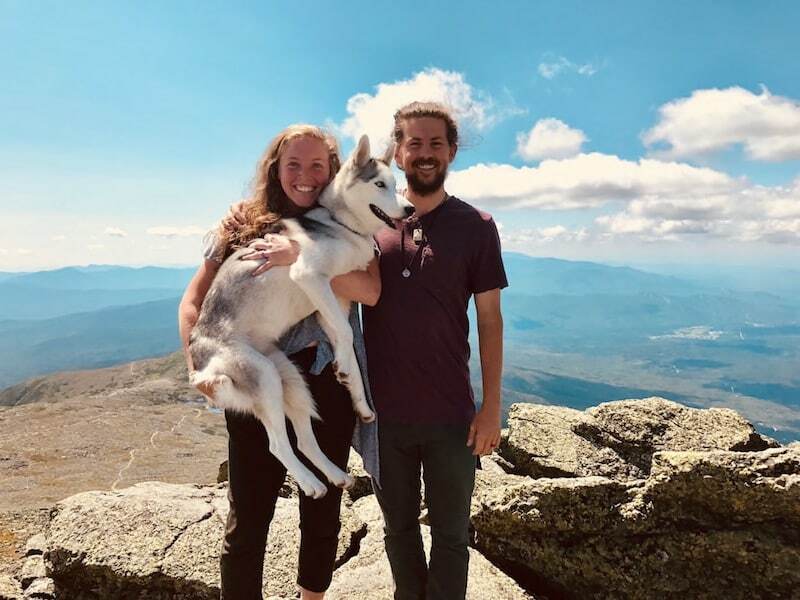 We are setting out to hike the Appalachian Trail on February 3rd (weather permitting) – just the two of us and our sweet husky gal. While we are truly beside-ourself-excited, the realities of this choice have been pretty rough on us both. December was tricky. It required a lot of planning, flexibility and often staying up into the wee hours of the night scrambling to get things in place. We were both working anywhere from 40-75 hours a week at Alabama Outdoors – Logan as the manager in Trussville and myself in the eCommerce department. Working that much meant being gone during the sun lit hours, rushing to make dinner and often falling asleep on the couch from exhaustion. I was also MIA a lot of nights in the studio or finishing up capstone classes before I graduated on the 17th while Log was watching the dog and wrapping up his graduate school applications. In the midst of all of this was packing up our entire apartment, which proved to be mentally, physically and emotionally exhausting. Logan’s contract with AO ran through December 31st which was also, conveniently, the day that we had to be completely moved out of our apartment. By some miracle (AKA my parents, sister, and BFF) we were able to get everything packed, cleaned and moved into the Uhaul truck in less than two days. And not only that – we were also able to get the Uhaul truck unloaded into a storage unit on the same day we drove away from Birmingham. I have to say: driving away from Birmingham was surprisingly emotional. For so long we have swooned over the thought of finally getting out of there – somewhat a ‘farewell’ to living the south for us – but it brought more of a challenge than I’d like to admit. It really is a special place. We both moved there to become independent and to figure out our paths in life and luckily, our paths crossed and we fell in love there. We have shared so many special moments with one another, met some truly amazing people and learned an incredible amount of lessons in what seems like such a short amount of time. I could go on, but I’ll just leave it at this – we love Birmingham, we treasure it closely to our hearts and we will indeed miss it. But, alas, here we are… Homeless. 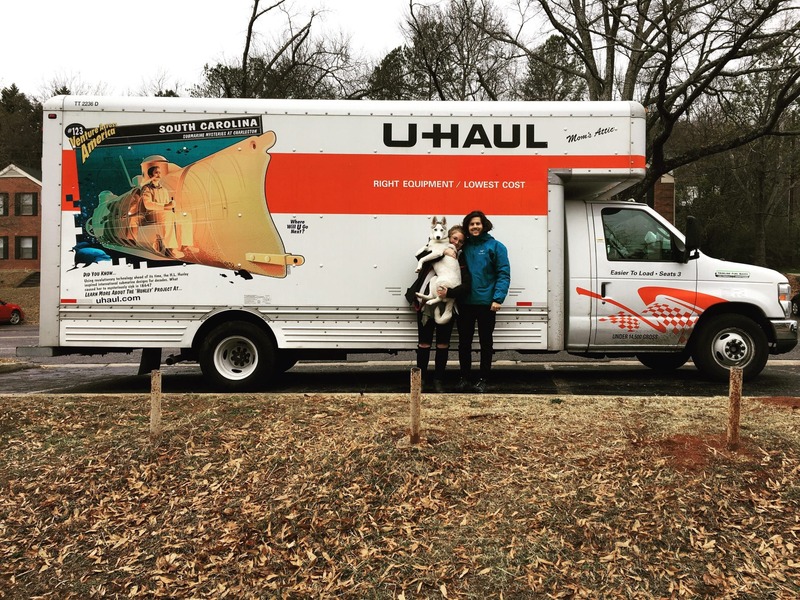 Driving away from the city in the Uhaul truck full of all of our belongings, I couldn’t help but reside in the surreal feeling of choosing to be homeless. I mentioned it, we laughed, but then we each sat in silence facing the reality of the choice we have made. Guys…it’s scary. “Home” is such a safe haven. No matter where it is, what it is, or who it is with – it offers so much security to know you have a home to flea to at the end of each day. But here we are, drifting from one home to another, none of them being ours. I know a lot of people are questioning our choice. I know even more people doubt that we put much thought into it before jumping the gun. And I know that most people are in shock when they hear what our plan for this year is. We have talked a good bit about all of this recently and we’d like to provide some perspective for you all. Hopefully it’ll help you understand our journey to this point! This aspect of Jesus truly intrigues the both of us. In a world that takes religion and makes it such a complex entity – it is so simple. How do we figure this? Jesus’ call to His closest followers, the men who traveled by His side at all times, was to follow Him. That’s it. The rest of what they needed, He provided and taught to them along the way. That is our understanding of life with Christ. If either of you know Log and/or I intimately, and know our journeys in life thus far, you will know that those three words explain our lives to a T.
So putting all of our belongings into a storage unit, choosing not to take a paycheck for 8 months and walking 2000+ miles in the woods is simply what it means for us to come and to follow. The rest He will provide and teach to us along the way. Happy new year, friends, and even happier trails!